Do you ever worry you've waited too long to adopt an anti-aging lifestyle? Don't! Research shows that starting to eat well, exercise regularly and quit smoking as healthy habits can still have a significant effect on your health and longevity—even if you don't begin until after the age of 50. While numerous studies have looked at how individual habits (like tobacco smoking) may extend or shorten a person's life, far fewer have tried to quantify the benefits of practicing a number of healthy habits together, especially for people who begin only later in life. This was the focus of a study published in The American Journal of Medicine, conducted by researchers from the Medical University of South Carolina's Department of Family Medicine. ​The trial examined whether newly adopting a healthy lifestyle in middle age could still produce significant benefits, in terms of lower risk of heart disease and reduced mortality. A group of 15,792 older men and women living in four different communities in the United States was tracked from 1987 to 1998, as part of the Atherosclerosis Risk in Communities Study. Aged 45 to 64 years, the subjects were examined for their weight, height, dietary intake, smoking habits and exercise. The researchers note they did not include moderate alcohol consumption because the study aimed to assess the effect of adopting new healthy habits, and beginning to drink in middle age is not widely recommended. Interestingly, at the beginning of the study, only 8.5 percent of the subjects were practicing all four healthy habits with consistency. After six years, an additional 970 people (or 8.4 percent of the study population) had adopted all four of the primary habits. The most common switch was to begin eating at least five fruits and vegetables each day. A regular exercise habit was the second most common behavior change. Who Struggled the Most (or Least) to Launch Healthy Behaviors? The researchers examined the "successful switchers" and concluded that the subjects most likely to change habits for the better were older, female, those with a college education, higher income and without a history of hypertension. Subjects least likely to adopt the four primary habits were men, African-American, lower income, those without a college education, and those with a history of either hypertension or diabetes. After four additional years of follow-up, the healthiest lifestyle switchers (those newly adopting the primary four habits by the study's six-year mark) enjoyed a 40 percent reduction in the risk of death from any cause and a 35 percent lower chance of having a cardiovascular event like heart attack or stroke relative to those practicing fewer than four healthy habits. This was a much better outcome than for those achieving only three new healthy habits. They had a 25 percent lower mortality risk, but not a lower incidence of cardiovascular events during the same four-year follow-up period. The beneficial results were independent of gender, age, race, socioeconomic status, and even previous history of illnesses like heart disease, diabetes, or hypertension. 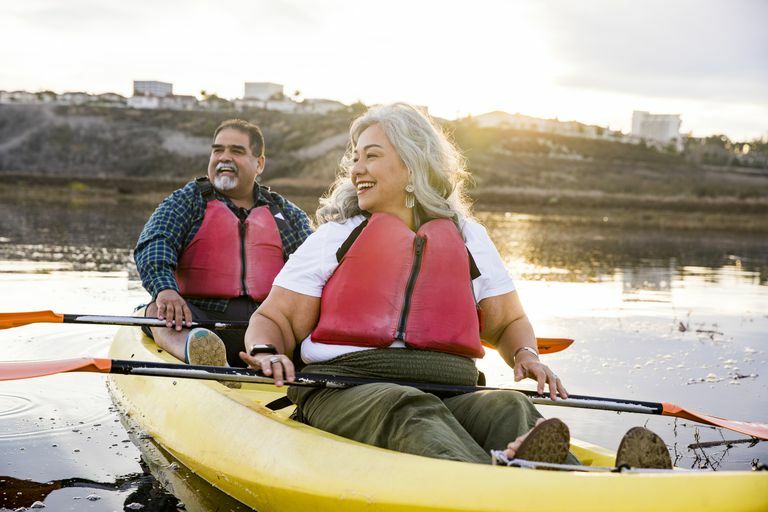 Dana King, Chair of the Department of Family Medicine at West Virginia University and lead author of the study, says that even modest lifestyle changes begun in middle age can still reap real benefits. "These are significant and measurable results," he said. "We've done other research on the declining health of baby boomers, and this study demonstrates how much good some healthy changes can do. It shows you can still improve your health status, even if you don't start working on your habits until quite late in life. Any or all can make a big difference; it's never too late." 5 Ways You Can Make Health Last. Healthy Living Features: Canadian Heart and Stroke Foundation Public Information Sheet. Dana E King, Eric Matheson, Svetlana Chirina, Anoop Shankar, Jordan Browman-Fulks. "Overall Health Status of Baby Boomers Appears Lower Than Previous Generation." JAMA Intern Med Published online February 4, 2013. Good Health Habits at Age 60 and Beyond. American Academy of Family Physicians (AAFP) Public Information Sheet. How Has Longevity Changed Throughout History?